Today, Punxsutawney Phil, the world's most famous rodent, saw his shadow, thus predicting six more weeks of winter. 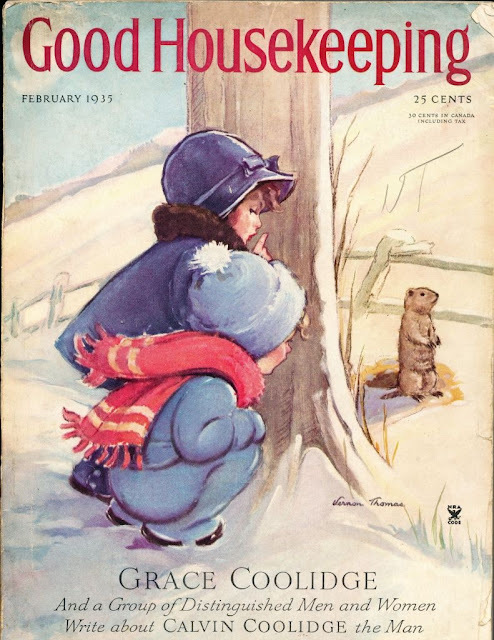 Now, for anyone paying attention, March 21--the first day of spring--is six weeks away, whether a groundhog sees his shadow or not. Ancient traditions not only marked the beginnings of the seasons (vernal equinox, summer solstice, autumnal equinox, and winter solstice), but also the midpoint of each season. For winter, that is approximately February 1 or 2, which was known in ancient Ireland as Imbolc, a word which literally means "in the belly." It referred to the time around which ewes and rams would mate. The date is also 40 days after Christmas, which in the Christian tradition is celebrated as Candelmas, the commemoration of Jesus' presentation in the temple and the end of the Christmas/Epiphany season. In northern Europe, Candelmas became the day when farmers would begin to predict whether or not there would be an early thaw. As one early poem put it, "If Candlemas day be dry and fair/The half o' winter to come and mair [more]." We don't know exactly how this then transformed into small animals predicting the weather. In France it's a marmot; in Germany, the animal is traditionally a badger. By the 1840s, the groundhog had been attached to the holiday in the United States. Since 1887, the town of Punxsutawney, in Pennsylvania, has hosted groundhog festivities. As celebrations of Candelmas became less important in American life, Groundhog Day took its place. There are now many competing groundhog prognosticators, including Staten Island Chuck who--for the record--did NOT see his shadow, thus predicting an early spring.